As covered by The New Indian Express and other India-based press outlets, including: Business Today India, India Today, TechCircle.in, VC Circle, India Infoline, Telegraph India, and over 70 more. SAN FRANCISCO and MUMBAI, India, Dec. 17, 2015 /PRNewswire/ — Fanplayr the industry leading ‘Data+Action’™ Service for eCommerce, today announced that after considerable testing Fanplayr’s “Smart & Targeted” conversion service is fully operational at Babyoye.com, a leading e-commerce provider of baby care products and a part of Mahindra Retail. Using data driven customer insights, Fanplayr worked with Babyoye to build a fully scalable segmentation and targeting campaign that will help personalize a visitor’s path to purchase. Fanplayr will provide consulting to Babyoye’s digital leadership team to further differentiate Babyoye’s best in class eCommerce visitor experience, applying principles and best practices from Fanplayr’s extensive online retail knowledge and experience. Fanplayr provided Babyoye with an increase in both AOV and conversion rates, amounting to an 18% increase in revenue. Earlier this year, Fanplayr entered the Indian eCommerce solutions market when it opened up an office in Mumbai. Using the momentum of deals like this, Fanplayr has positioned themselves well to become leaders in conversion optimization in the $11+ billion Indian online eCommerce market, which is en-route to becoming the world’s fastest growing eCommerce market 1. “We are excited to be partnering with Mahindra through their eCommerce industry leader Babyoye whose goal it is to cater to the online generation of modern Indian parents. 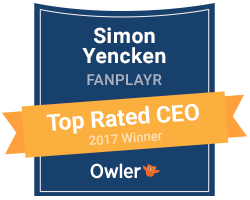 This generation demands better and more personal user experience online, and we believe that Fanplayr’s dynamic shopper targeting system is primed to service them well,” said Simon Yencken, CEO of Fanplayr. Fanplayr’s Data Platform for eCommerce provides real-time intelligence and actionable insights to eCommerce retailers and service providers, enabling behavioral targeting of visitors whist they are shopping online. Fanplayr’s service empowers merchants to ‘Convert more eCommerce Visitors using Personalized Real-time Targeting.’ Fanplayr’s onsite conversion service generates significant uplifts to Conversion Rates, Average Order Value, Revenue per Visit and new Customer Acquisition Rates. Fanplayr is a privately held company with headquarters in Palo Alto, California and offices in Mumbai, Milan,Buenos Aires and Tokyo. More information at http://www.fanplayr.com. Babyoye is an e-commerce store providing maternity, infant-care and mother-care products and services in India. Babyoye.com was conceived to provide the online generation of modern Indian parents with the opportunity to access the best in maternity infant-care and mother-care products and services at the click of a button. Babyoye provides customers a one stop solution to a mother’s needs. Babyoye became a member of The Mahindra Retail in December 2014. Visit http://www.babyoye.com and http://www.mahindra.com for more information.